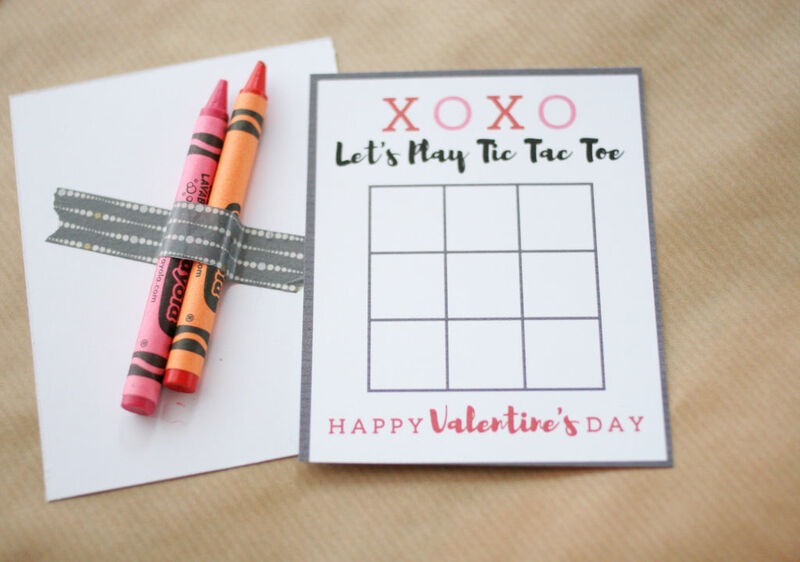 Tic Tac Toe Valentines are a creative, non-candy option. 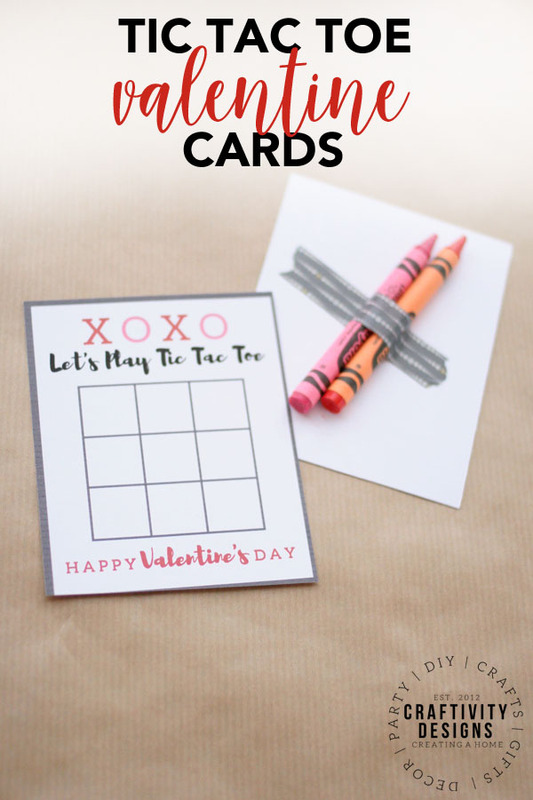 This quick and simple Tic Tac Toe Valentine card – along with 19 more candy-free Valentines – are simple and sweet (without the sugar!). 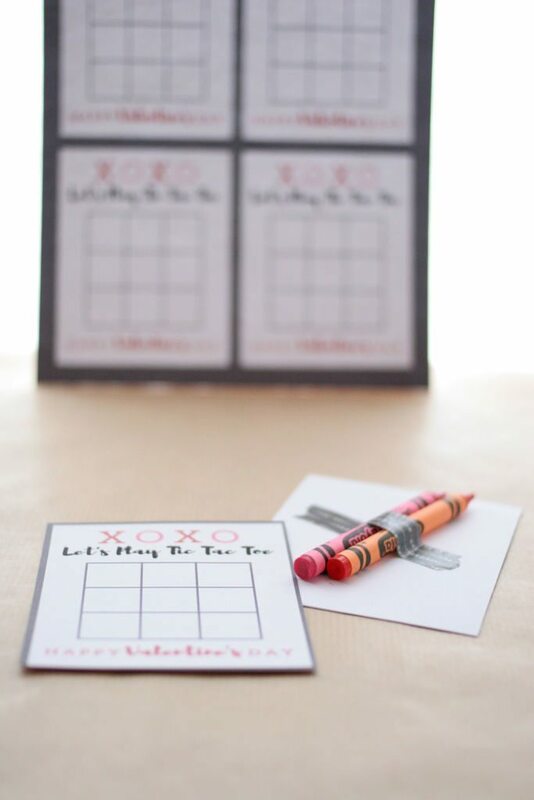 These little Tic Tac Toe Valentines turned out too cute… and they are right up my son’s alley. He is a big fan of Tic Tac Toe games (it’s our go-to boredom buster while waiting at restaurants). So, it makes sense to share that fun with his friends at Valentine’s. 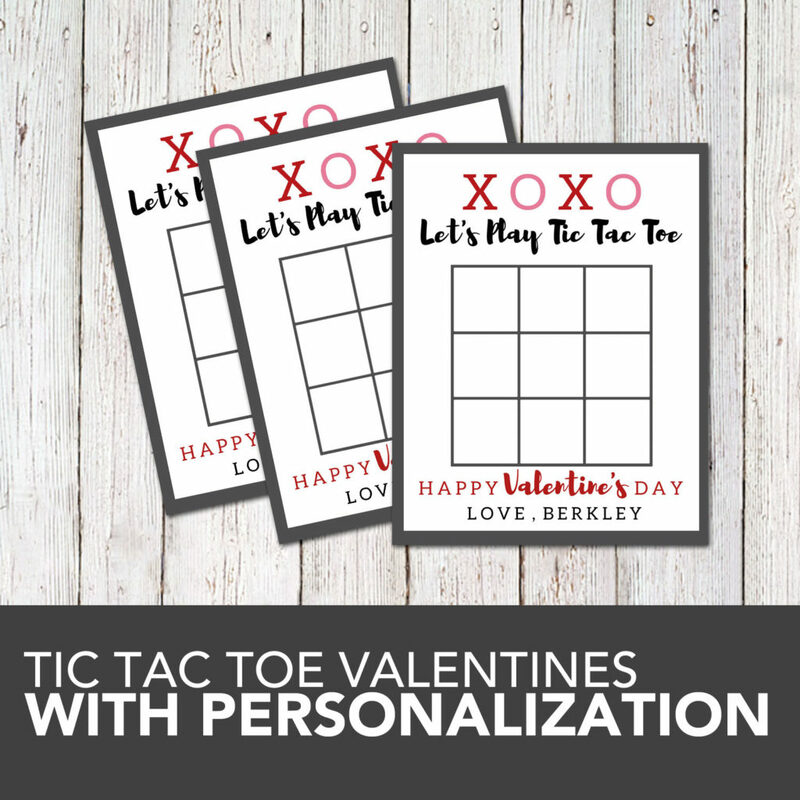 Print the Tic Tac Toe Valentine Printable near the end of this post onto white cardstock. 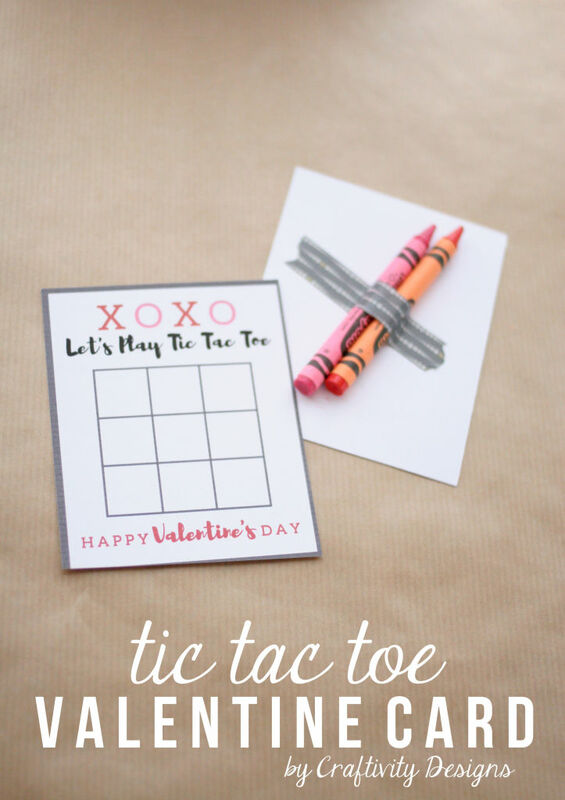 M&M Valentine Tic Tac Toe Game: Attach a small baggie with pink and red M&Ms to play and eat! 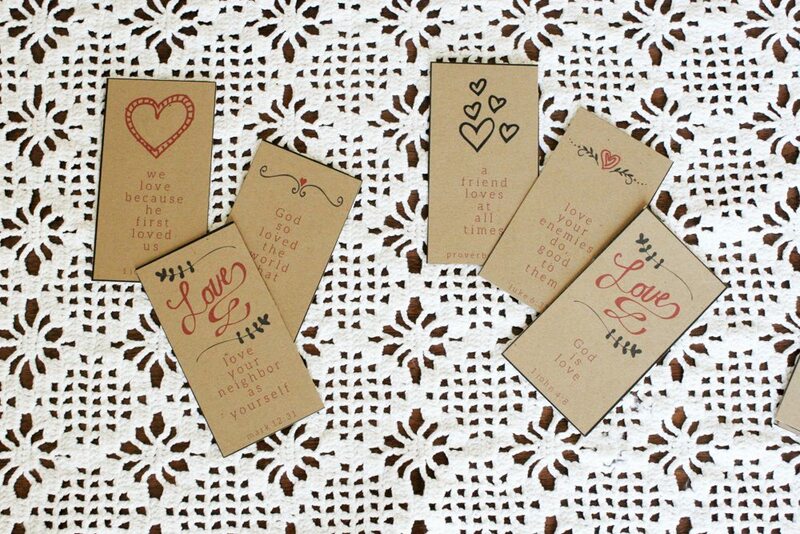 If you’d like personalized Valentine cards, rather than having to sign the cards, you can grab a customized version in my Etsy shop. Folks, we are still working on the Christmas candy. At Christmas, we were still working on the Halloween candy. All.the.candy. So, for me, as much as I love M&Ms, non-candy valentines are my preferred treat. I’m glad that this little card comes with only a couple of crayons… instead of a couple of pounds. Are you with me?! If so, here are 19 more candy-free Valentines. 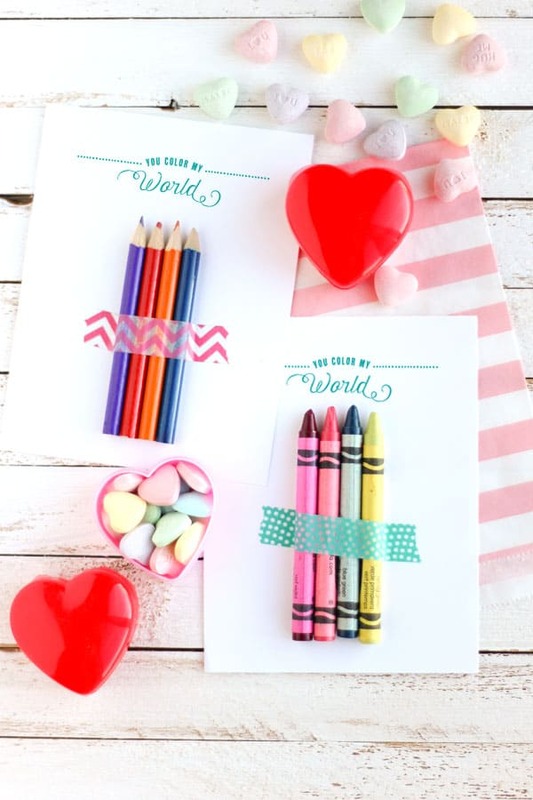 Pencil Valentine – Add Valentine themed pencils to this cute printable! 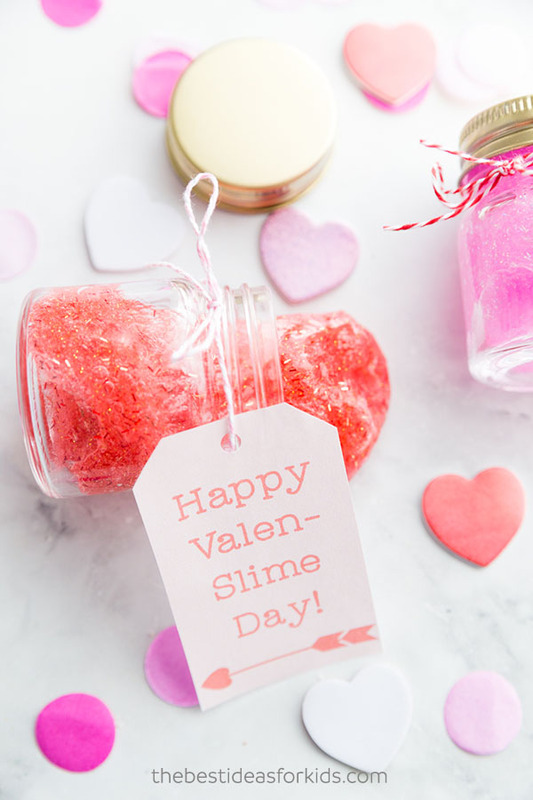 Slime Valentine – Make slime for a Valentine that is sure to be a hit with kids. 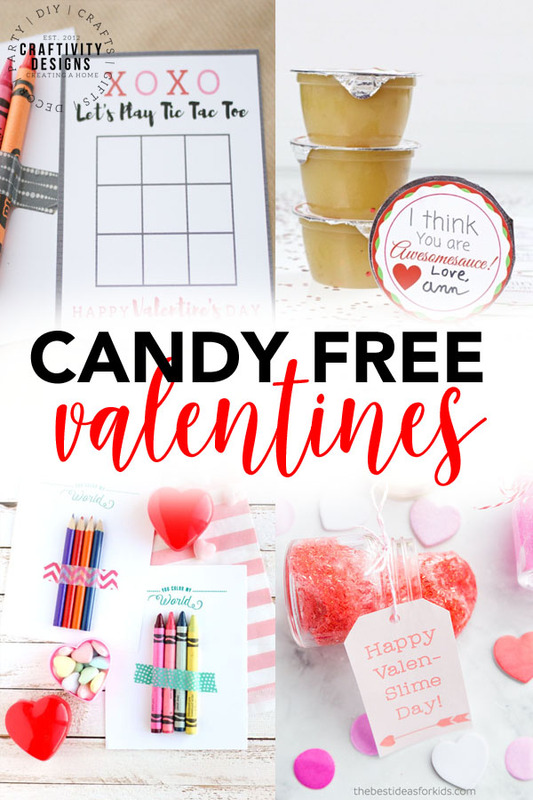 Sunglasses Valentine – Colorful sunglasses and a cute printable are such a clever Valentine idea from Where the Smiles have Been. Valentines Bible Verse Cards – Looking for christian Valentine cards for kids? Check out this set of printable scripture memory cards. Chemistry Valentines – Encourage kids to engage with science using these “smart” Chemistry Valentines. 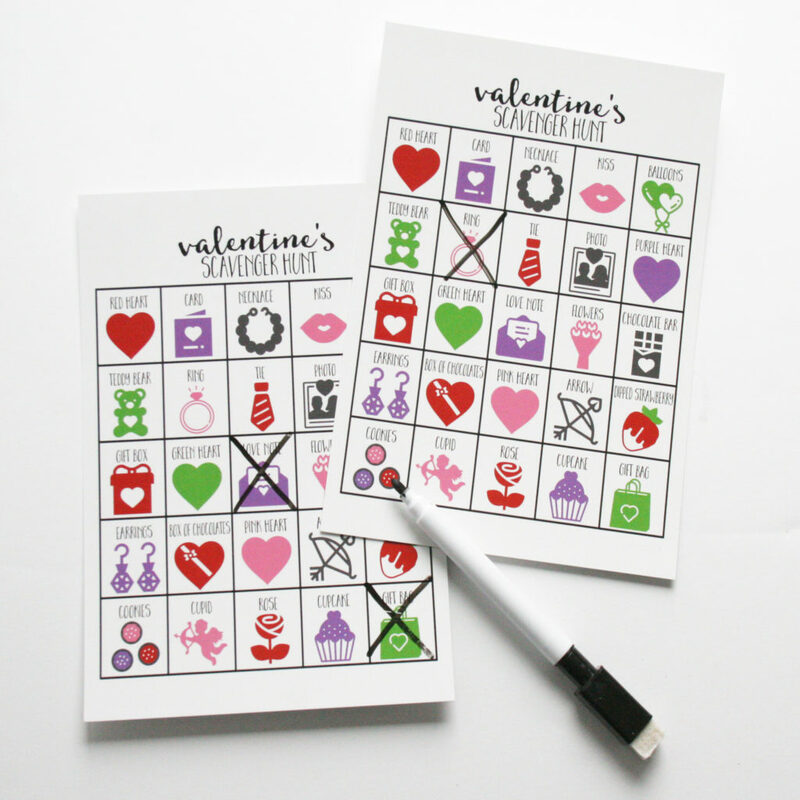 Journal Valentine – Kids love a small notebook to doodle or journal… and this Valentine card is just “write” for that! 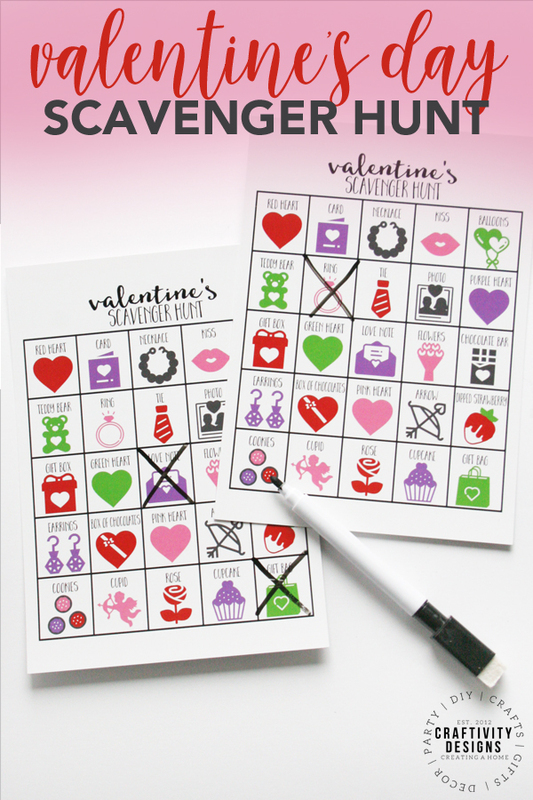 Valentines Scavenger Hunt Cards – A non-candy Valentine that is also a game? Yes, please! 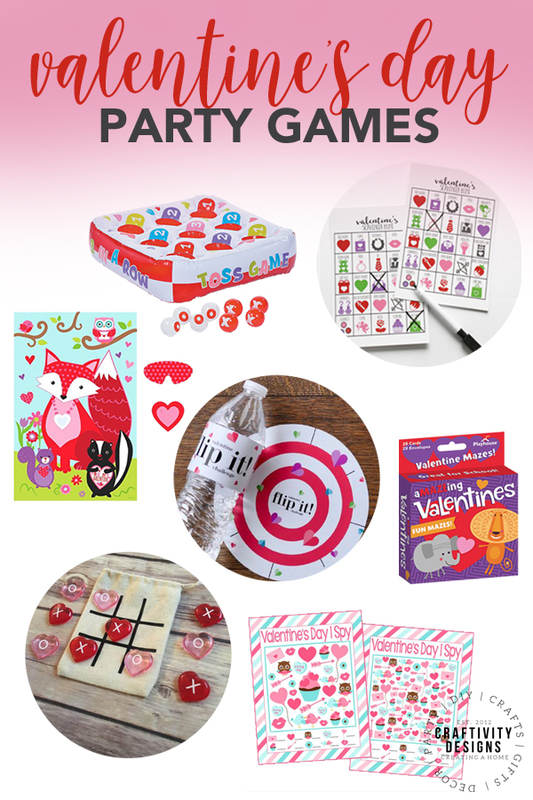 Play Doh Valentines – These Play Doh Valentines are so simple using Mama Cheaps’ printable labels. 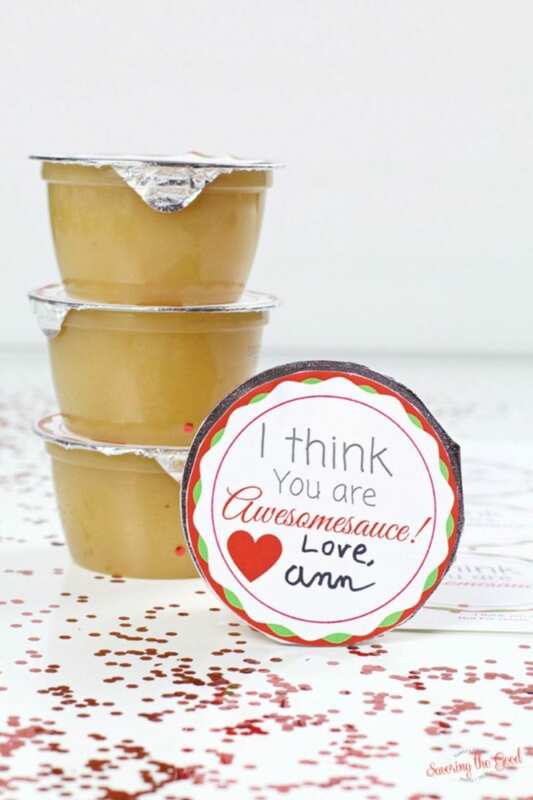 Applesauce and Orange Cup Valentines – How cute are these fruit cups turned candy-free Valentines? Seed Packet Valentines – Printable Valentine cards featuring seeds for spring… such a creative idea from Arts & Crackers. Valentines with “Squishies” – Darling little stress relief “Squishies” make a cute focal point for this non-candy Valentine. 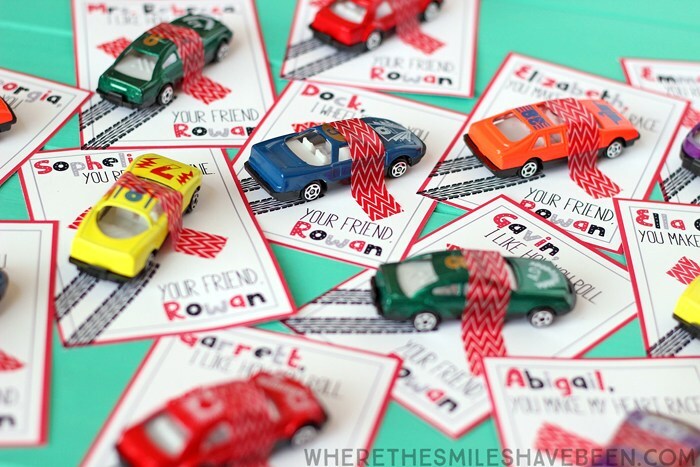 Race Car Valentines – Matchbox cars in an array of colors complete this printable Valentine card. Crazy Straw Valentine – Drinks are always more fun with a crazy straw! Try this fun Valentine from Three Different Directions. Harry Potter Light-Up Valentine – Harry Potter Fans or not, kids will love the light up toy in this candy-free Valentine card. 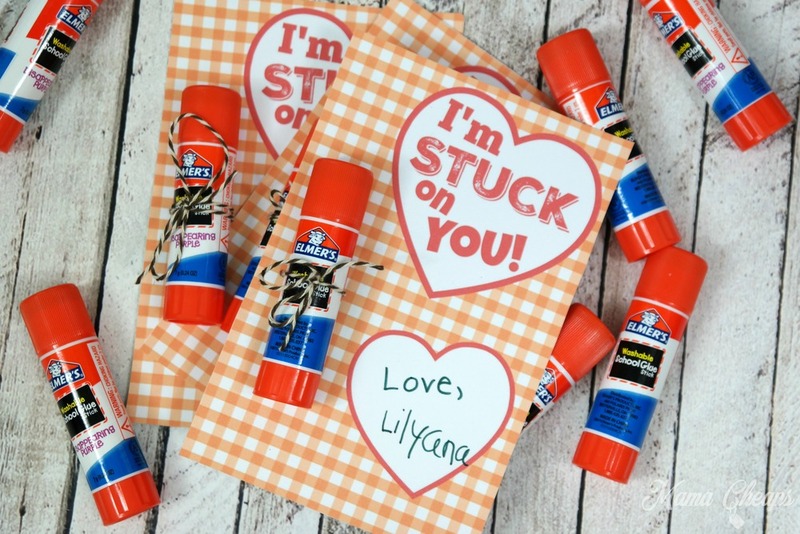 Glue Stick Valentine – This cute little Valentine pun comes with school supplies, too! 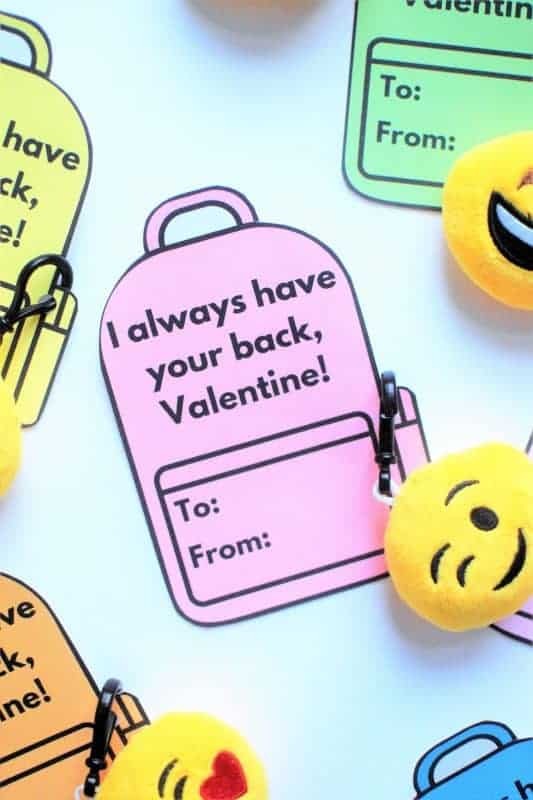 Keychain Valentines – Sooo adorable – and backpack ready – this printable Valentine is great for older kids. Bubble Valentines – Money Wise Moms shares an easy Valentine that the kids can help make, too! 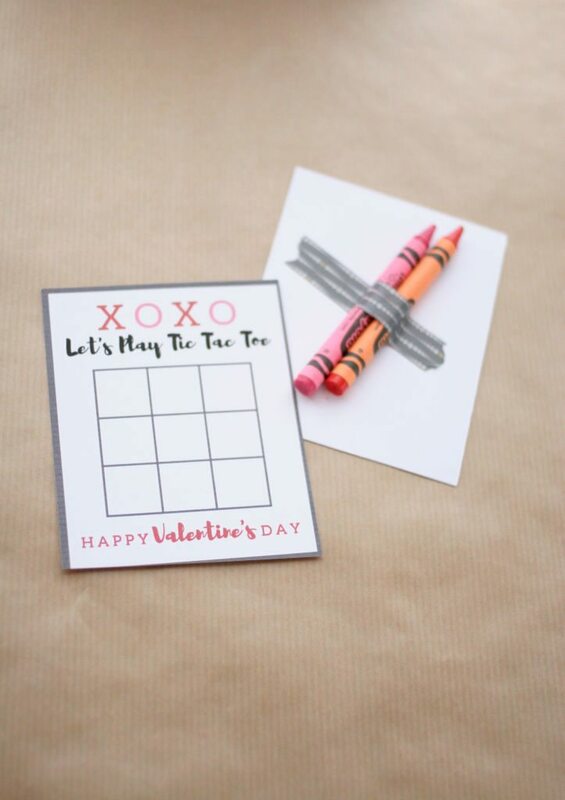 Crayon Valentine – Crayons are classics, and this understated Valentine card is a timeless choice. This is so cute!! Might print them out for my classroom! 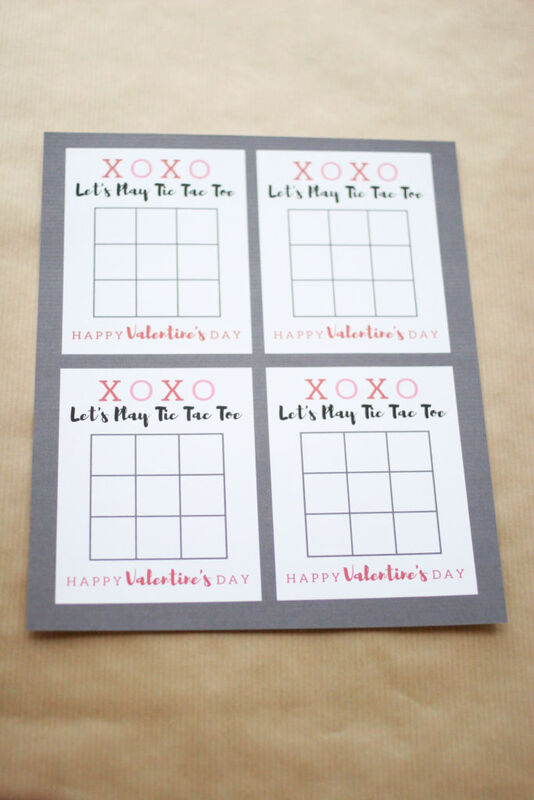 Super cute Tic Tac Toe Valentines. I think I need to print these out to give to my kids as a special valentines from me. What a cute idea!! I love non-candy ideas. And I’ll actually be working on a Valentine’s day post later today. If I didn’t have to mail them (as most of our kids’ friends live far away), I would totally love to do this. Thanks, Leslie 🙂 I’ll be checking out your post, too! This is so cute! My mum is a teacher, so I’m definitely sending this her way! Absolutely love this, it will be a hit with the kids! This is the cutest idea ever!! I love the taped crayons- so CUTE! My son would love this!! How cute!! What a fun idea and kids will love this!! This is such a great idea, worth sharing! Thanks for creating this! Blessings Lora! I am having trouble printing this or finding the printable. Love the idea!! Sorry, it is at the very end of the post. It wasn’t marked very clearly, so thank you for commenting! I have added some additional text to make it clearer. Thanks!